In The Name of Our Independence and Integrity…For Goodness Sake - Valuentum Securities Inc.
Last week, an article was published that associated us with hedge funds, questioned our integrity as honest hard-working equity analysts with years of experience, dismissed our fantastic performance track record and Brian Nelson’s Chartered Financial Analyst designation, tarnished our independence as an equity research provider, and offered another author in free form the opportunity to misinterpret our completely independent and unbiased thesis and address it in ways of their preference, belittling our entire team at Valuentum and doing irreparable harm to our brand and image, in our vew. 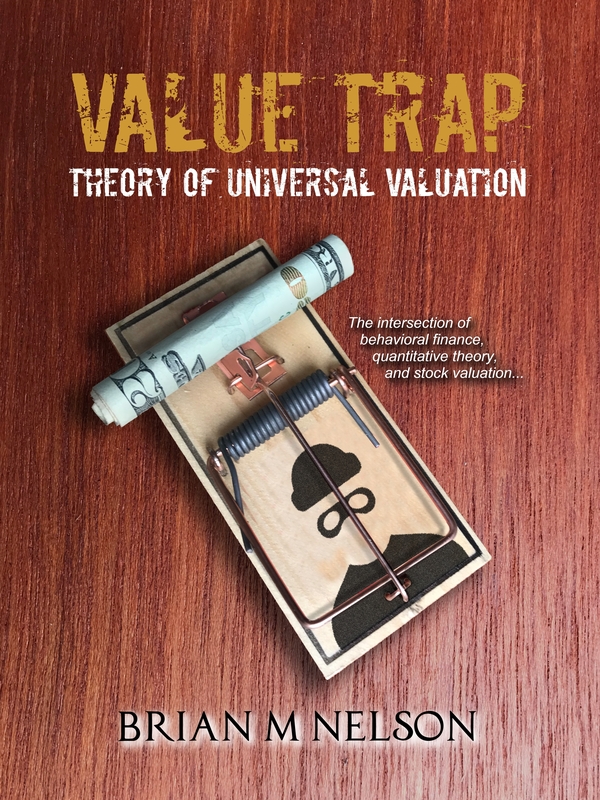 We’re surprised a large publisher gave free reign to another author to take one article we wrote out of thousands, without consideration of our entire body of research at www.valuentum.com, to attack our analytics. We strongly disagree that highlighting a scenario where MLPs may not survive “over the long run” is sensationalism, and we object to the assumption that a very real scenario can’t happen. It is absurd to attribute the massive sell-off in the MLP space to our article or our research at all. The implication that our research is not true is patently derogatory. Mr. Nelson holds the Chartered Financial Analyst designation and has trained hundreds of analysts, both equity and credit, across the globe, across continents, across business models, across valuation techniques. The implication that we are not wise and that we are in some ways like hedge funds, or associated with hedge funds, has completely misrepresented our entire company and valuation platform, which considers a forecasting of free cash flows for decades in the future and deriving a fair value estimate of a company’s shares. We employ long-term research processes, including a discounted cash-flow model that considers a perpetuity value for all companies in our coverage, across over 100 industry groups. First, it is a logical inconsistency to compare a retail mall with a master limited partnership. Many in this business know that there were a lot of companies that failed during the Financial Crisis, including several that portfolio managers and researchers in the asset management industry may have worked at before. The very fact that many companies during the Financial Crisis were overleveraged, relying on debt financing, similar to the MLPs today, is why such companies encountered trouble, and why many did fail. This is exactly the scenario that we are warning about today. The Federal Reserve simply did a fantastic job during the Financial Crisis to stem even more defaults. How can we be so sure that they will be successful again? We simply can’t. Needless to say, but maybe it’s worth mentioning, every company that files for bankruptcy has real, tangible assets. Every last one of them. It’s the debt that gets them in trouble. Most companies that do file for bankruptcy are extremely capital intensive and are facing scenarios where the external financing markets are closing. Exactly correct. This is what is happening, and that the equity markets are “closed” may be new “news” to many. It’s more likely, however, that executive teams in the MLP space aren’t looking to raise equity capital “down here.” That we need pipelines should not imply that unitholders or shareholders will be made whole in an adverse event of bankruptcy filing. The very idea that MLPs’ distributions are elective supports our view that most MLPs need to keep paying and growing distributions regardless of the external operating environment, or else. This is exactly our thesis. That their distributions are elective means that without them, there would be a fall-out in the shares of MLPs, much like the collapse in Boardwalk Pipeline’s (BWP) units, for example, a midstream entity. To repeat, Boardwalk is a midstream company, not to be confused with upstream entities such as Linn Energy (LINE) that have faced immense selling pressure after cutting their distribution, too. But that both units of midstream and upstream entities do collapse after a distribution cut, it is not a “wrong” conclusion to believe that units are being priced on a payout that is detached from their fundamentals. It is our view, that the distribution, or a dividend, is not a driver in the context of value creation, but an output of value generation. A distribution cut simply removes the “bubble” between the artificial share price propped up by the distribution and the intrinsic value of the asset on the basis of its operating fundamentals, absent a distribution. It has happened on more than one occasion in both the upstream and midstream space. We have been working day and night to help investors understand that there are at least a half dozen, maybe more, definitions of cash flow: free cash flow, cash flow from operations, cash flow from investing, cash flow from financing, enterprise free cash flow (free cash flow to the firm), free cash flow to equity, distributable cash flow, discounted cash flow, and well, cash flow, the latter having really no meaning at all, without it being properly defined. The industry continues to say “cash flow.” There is nothing wrong with using any definition of cash flow that you want—even revenue can be a form of cash flow if we suspend reality, and borrow for all expenses and capital spending. But the reality is that there are widely-accepted definitions of cash flow, importantly traditional free cash flow (cash flow from operations less all capex) and then there are industry definitions of cash flow such as distributable cash flow, which exclude growth capex. We believe that it would be informative for MLPs to disclose traditional non-GAAP free cash flow to help investors better understand their capital market dependence and the significant risk inherent to the sustainability of their business models. This is only a good thing, and we think investors of all types would be better served. Why not? Other companies with fantastic disclosures do. We understand how the industry wants investors to think about MLPs—that they should be viewed as two separate companies, broken apart: 1) on the basis of their existing assets and 2) on the basis of new investments, which may be NPV positive. That’s all fine and good, but it doesn’t change the view that it is the very distribution that is driving the prices of these equities, not the valuation dynamics behind the core operating businesses. We continue to believe the timing of cash flows matter! For example, that Kinder Morgan has generated traditional free cash flow of ~$800 million during the past three years is a fact that we can’t change. As much as we want to say that all will be fantastic in the long run because the projects are NPV positive, equity investors still received roughly ~$800 million in each of the past three years. That’s what flowed to shareholders during the past few years. It happened. Those cash flows that accrue when Kinder Morgan shuts off the spending gushers 5 or 10 years from now are worth substantially less than the money they spend today. As interest rates rise, and the marginal cost of borrowing increases, that long duration cash flow stream becomes less and less of a good thing. For example, a $3.6 billion outflow today is worth $3.6 billion, but it would require ever higher cash flows to preserve a NPV positive scenario as interest rates rise. Locking interest rates in today matters little to what investors will demand in the future. 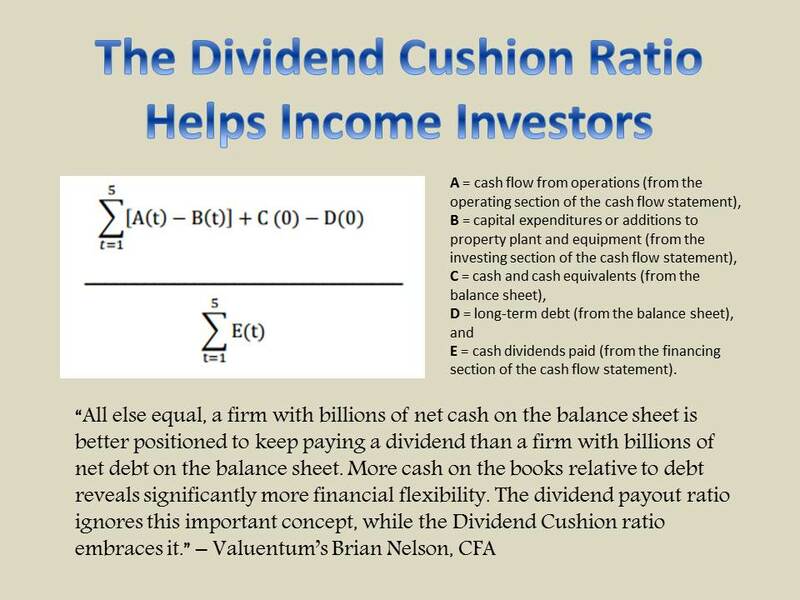 Furthermore, it is not by simple chance that most other companies pay out their dividends as a portion of traditional free cash flow and earnings. Paying significantly above these levels opens them up to the tremendous risk that at some point in the future they may not be able to meet those dividend obligations. That a business is significantly capital intensive to grow and holds debt on the books from the growth does not make it a better business than one that is capital-light and is debt-free. This should go without saying – MLPs are risky entities. Some midstream entities are directly tied to commodity price changes. This is a reality. And because midstream companies serve the energy sector, whose credit continues to deteriorate, the threat of customer bankruptcies makes any contracts up for grabs, should energy resource pricing continue to fall. We think that all midstream entities are tied to commodity prices because their customers are—this is true. We think some of the largest midstream entities have direct commodity price change exposure--case in point, Kinder Morgan (see above). Midstream equities are tied to commodity price changes. When we speak of MLPs, in general, we’re talking about the shared pricing paradigm, how we think they are being priced on a financially-engineered distribution, not one generated from traditional measures of free cash flow. That’s how upstream and midstream entities are linked together. And yes, both upstream and midstream entities are tied to commodity prices, the former more than the latter, but we’re not confused at all. Boardwalk Pipeline Partners has cut its distribution, and it was a midstream player. Plains All American (PAA), a midstream player, has warned about the health of distribution growth. We have a unique view of the business models of MLPs in that we build an in-depth discounted cash-flow model for each one of them. In a discounted cash-flow model, an MLP’s need for additional equity (or debt) issuance in order to keep its cash balance in the black (positive) while still paying out hefty distributions is readily apparent. Without a constant inflow of new capital (either via new debt or new equity), most (if not all) MLPs would be unable to sustain existing distribution payouts. This makes them notoriously more difficult to assess on a financial basis—either an MLP is able to raise capital (its general partner decides it will) or it isn’t (its general partner decides it won’t or the market doesn’t accept new units). Since almost all MLPs have retained relatively easy access to the capital markets since the Great Recession, counting on future equity and/or debt issuance to sustain what otherwise could be considered too-lofty of a distribution payout hasn’t been a problem. All that changed this week with Boardwalk Pipeline. The MLP shocked the market by slashing its quarterly distribution considerably to $0.10 from $0.5325. The entity noted that “the reduction in the distribution will free up internally-generated cash to help fund growth and reduce leverage in order to strengthen the balance sheet during…difficult market conditions.” What we read this to be is that Boardwalk/Loews (L) floated the idea of issuing new units (or new debt) and was unable to get enough interest to fill liquidity needs (or maintain investment grade status) to satisfy the existing distribution levels. When management received word of that, the MLP decided to simply “rip the Band-Aid off” as opposed to slowly cutting the distribution over time. Unitholders may have fared better with a smaller distribution cut (at this juncture), but it having to go to the equity markets for new capital and still having to cut the distribution would have sent shareholders to the exit anyway. On a fundamental basis, Boardwalk has been facing headwinds as a result of unfavorable market fundamentals negatively impacting its natural gas transportation and storage revenues. In our view, we’ve yet to reach levels of outright fear in the markets. We’re only a few percentage points from all-time highs in the S&P 500 (SPY). Crude oil is still several times levels of the late 1990s. There’s not a bit of fear in today’s markets. Stocks for the long run, regardless, right? Lehman, anyone? “Claim: MLPs are reliant on the capital markets to support ongoing distributions at current levels. The industry keeps telling investors that somehow, despite their balance sheets exploding with debt, that their distributions are being financed by internally-generated cash flow. It simply doesn’t hold in substance, in our view. The end result of a new project is incremental debt and a higher distribution. This is what’s happening in the raw financials. The debt is fueling the distribution, and as the market rewards the distribution, incremental capital can then be raised at “propped up” stock prices. When MLPs slash their distribution, their share prices hit air pockets to converge to fundamental intrinsic value, as in the cases of midstream, Boardwalk, and upstream, Linn (LINE), arenas. Claim: Free cash flow less all capital spending is the appropriate way to evaluate ongoing operations of MLPs. When looked at through that lens, MLPs are not sustainable. Not true; as mentioned above, if capital programs were put on hold, MLPs would be able to sustain existing distributions. See 2008-2009. An enterprise free cash flow model is the proper way to value MLPs, in our view, and we’re talking about valuation in this case. Again, it is the pricing of MLPs on the basis of the distribution that we’re talking about, and again, there is more emphasis placed on the artificial paradigm surrounding the distribution than value-creation itself, as exactly in the examples provided. MLPs suspending positive-NPV projects to preserve their distributions only reinforces the view that MLPs prefer to support a pricing paradigm than to pursue tangible positive-NPV projects. Cash flow from operations less all capital spending is a fantastic way to evaluate the risks of the distribution, particularly in light of a company’s net debt load. We encourage all management teams to disclose this measure. If MLPs are forced to suspend growth of distributions, how would that “negate forever the distribution-based equity pricing framework”? The market will just back up the yield to reflect no growth. That no-growth MLP yield has generally been between 7%-10% over the last 10 years. Many MLPs are now trading much higher on this recent over-correction. But just because the market slaps a 15% yield on you, that doesn’t mean you have to cut the distribution so you are only yielding 10%. At 12/31/2008, MarkWest Energy Partners (MWE) yielded 32.1% and Targa Resources Partners (NGLS) yielded 26.7%. Neither one reduced distributions through 2009, and each were up more than 200% over the next 12 months. MWE recently felt it would be better able to fund its backlog of growth with a strong sponsor like Marathon. Other MLPs may choose the consolidation path as well, but that’s to fund ongoing growth more easily and to protect valuable franchises and footprints, not to sustain current distributions. Yes, we think difficult decisions are ahead. Will MLPs cut their distributions or will they forgo positive NPV projects? We think the eventual outcome will be that MLPs will eventually be valued like any other equity should be, on an enterprise free cash flow basis—not only what it can max out as a distribution that exceeds both traditional free cash flow and earnings. The very fact that it is assumed that they are being priced on the distribution is what we’ve been talking about. We think MLPs should be valued on the basis of actual organically-driven free cash flows that actually accrue to shareholders at the time that they do, as well as considering the obligations to pay back their massive net debt positions. A look at Plains All American’s (PAA) share price reveals how the market responds to threats of distribution growth. Given OPEC’s production plans, we have to consider the very real possibility that the future may be different than the past. Claim: Energy Transfer Equity (ETE) and the Williams Cos. (WMB) deal at much lower valuation that previously means that if the environment continues to deteriorate, leading participants to become desperate in the face of adverse conditions. In the current environment, certain MLPs will have trouble living up to distribution growth targets set prior to the commodity collapse, this is true. And some may seek to consolidate to be able to better defend market share in key regions. But, there are real commercial synergies in this deal and there is real value to being bigger in the current environment, and that’s driving these deals. WPZ was not going to have to reduce distributions, but it was going to have trouble growing as fast as previously guided. WMB management saw the opportunity to get some value for the GP IDRs, which earlier this year it was willing to collapse entirely. As the author mentioned, “certain MLPs will have trouble living up to distribution growth targets set prior to the commodity collapse.” We don’t want this to be true – we want everyone to get rich. However, we think it is a real possibility, and we’re the only ones talking about it.